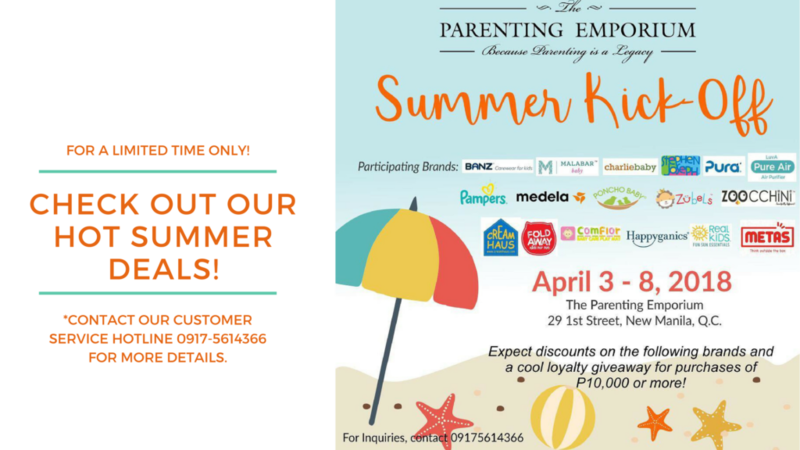 Catch the Summer Kick-Off Sale at The Parenting Emporium! Let’s welcome the summer together with amazing deals on your favorite brands and special lootbags for purchases of P10,000 and more! Make sure to drop by our store (we’re on Waze and Google Maps, and you can find a map here), and enjoy the hot, hot deals while finding refuge from the outdoor heat! #TPEApproved brands such as Pampers will be available as well at 10% off (only until supplies last)! 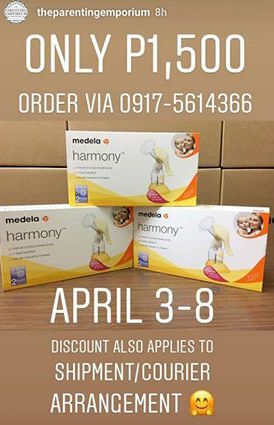 *Promo is good for in-store purchase, delivery and shipment arrangements. Do come join us for a weeklong celebration of the season that means staycations, vacations, and quality bonding time–don’t miss the Summer Kick-off Sale!